It seems that Nvidia’s new RTX graphics cards are starting to gain some momentum in terms of sales, at least if the latest figures from the Steam hardware survey are anything to go by. 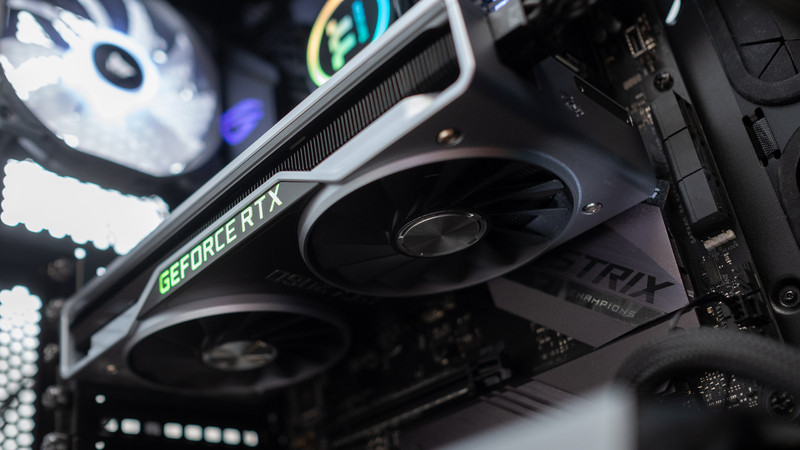 The March stats show that the most affordable of the RTX GPUs, the GeForce RTX 2060, has made the biggest monthly gain out of all the graphics cards being used by Steam gamers – and by a long way. Before we get too carried away, though, the RTX 2060 actually only stands at 0.27% of the overall market – in other words, in the previous month of February, it held a negligible market share. So, there’s still a long way to go, but this is a positive sign for Nvidia, and equally the gains made by the RTX 2070 and RTX 2080 will also be encouraging for the company. The RTX 2070 actually made the fourth biggest gain of all graphics cards with an uptick of 0.15%, and the 2080 saw a 0.1% increase. Again, however, the total market share of these GPUs is relatively small, standing at 0.65% and 0.5% respectively. To put that in perspective, the current king of the market, the GTX 1060, is used by 15.58% of Steam gamers, which is way ahead of the second-place GTX 1050 Ti on 9.68%, and the GTX 1050, which stands at 5.31%. Remember that these are the top three performers, so the share that most GPUs hold is relatively thin, with a very diverse range of ownership when it comes to graphics cards. Incidentally, all of those three dropped market share this month, declining by 0.3%, 0.15%, and 0.03% in the case of the GTX 1060, 1050 Ti, and 1050 respectively. Interestingly, the other last-gen Nvidia cards gained ground, with the fourth-placed GTX 1070 picking up 0.18%, and the GTX 1080 increasing by 0.07%, with the GTX 1080 Ti experiencing a 0.08% uptick – presumably given that falling prices of these outgoing cards are tempting gamers. AMD’s most popular card, the Radeon RX 580, only holds 1.1% of the market and is in 13th place according to Steam, although it did make an impressive 0.16% gain in March. We’ve already heard plenty about AMD’s dwindling share in recent times in terms of the overall desktop GPU market, as gamers have seemingly lost patience waiting for the arrival of AMD’s new Navi GPUs (the Radeon VII not being nearly enough to tide them over). Given this overall market picture, and the growth in the adoption of the new RTX cards highlighted here, Nvidia can doubtless expect sales to gather further momentum. Although while the RTX 2060 has made a big leap in particular, in March, it will be interesting to see whether its progress is at all impeded by the release of cheaper Turing cards (namely the new more affordable GTX models, headed up by the GTX 1660 Ti). Whatever happens, it will all still be money flowing into Nvidia’s coffers, it would seem. Fingers crossed that AMD’s affordable Navi GPUs are indeed due to be launched soon – perhaps in July, following a Computex reveal at the end of May – as the rumor mill has it.